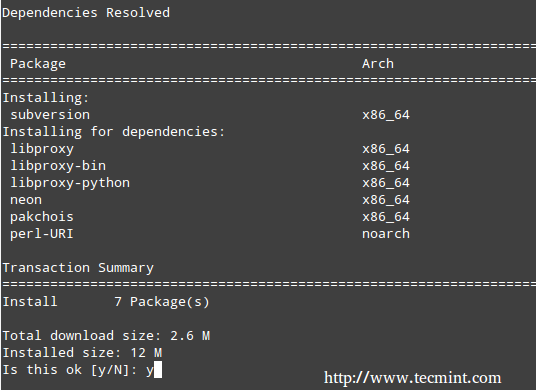 You can add the configuration files for custom repositories in the /etc/yum.repos.d directory. Configuration files need to end in .repo and follow the same basic structure. In addition, we have enabled GPG signature-checking for all packages in our repository. To make sure our repository is always current, we need to synchronize it with the online repositories on a periodic basis. We can use rsync for this task as well (as explained in Part 6 of the LFCS series. rsync allows us to synchronize two directories, one local and one remote). Run the rsync command that was used to initially download the repository through a cron job and you’re good to go. Remember to set the cron job to a time of the day when the update will not cause a negative impact in the available bandwidth. Important: Make sure to execute above command on the CentOS 7 server to keep your repository. Of course, you can put that line inside a script to do more complex and customized tasks before or after performing the update. Feel free to experiment and tell me about the results. You should never underestimate the importance of a local or network repository given the many benefits it brings as I explained in this article. If you can afford the disk space, this is definitely the way to go. I look forward to hearing from you and don’t hesitate to let me know if you have any questions. Hi, I need to pass rsync through a proxy server to get to the mirror, what should i do? First you need to set proxy connection settings in your exports path as shown. Then you can tell that you want rsync to use below proxy settings for its traffic. Finally you run your rsync job. Hi, I’m afraid your instructions are not correct. You must not use createrepo to create the repodata, but instead you should use the repodata you get from the mirror you sync from. If you create the repodata yourself, you will break the GPG signing of repomd.xml (see repomd.xml.asc). Please remove all references to “createrepo‘”. For those thinking of setting up a public CentOS mirror based on this blog posting, you should sync everything with one rsync command, and not by individual version or repository. In this case the -H (preserve hard links) rsync option would save you some bandwidth and hard disk space. Best regards, avij on behalf of the CentOS Linux Project. Thanks for your support with reference to Hadoop and Maria DB. Good Article and very good for a beginner like me. I request to kindly help me with the article for creation Installation and usage of Active Directory Services for Centos 7 64bit Server and Centos 7 64bit Client. (i.e i should communicate with Centos 7 Server with Centos 7 Client). 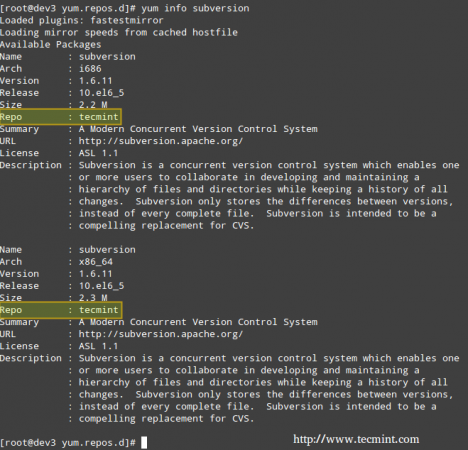 Please check this article: Integrate CentOS 7 to Active Directory. How to block access of repository url in suse, Redhat over port 80 ? It’s important to remember that after you setup your rsync in cron, you also need to update the repo, may be include the update command after the rsync in cron. Nope, you get the repodata from the upstream mirror. There is no need at all to run createrepo. How do I add an Ubuntu repository to Red Hat satellite 5.x?